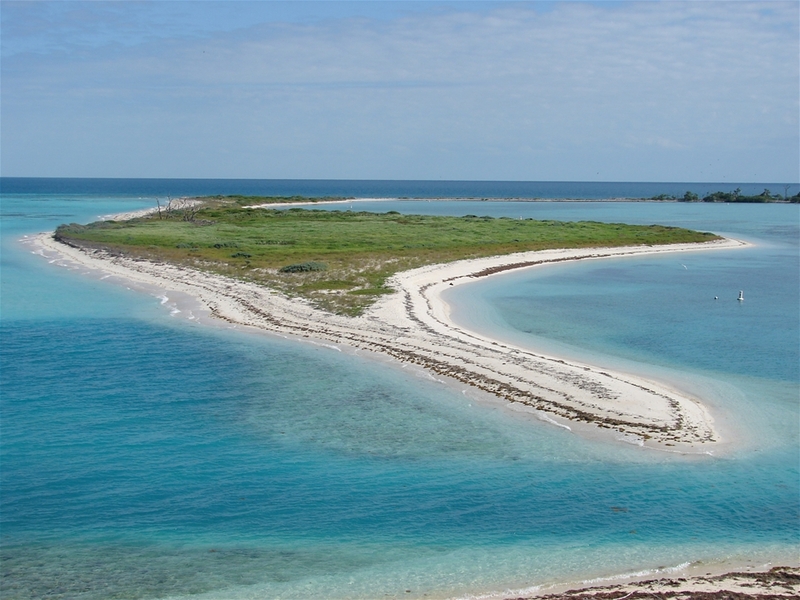 Dry Tortugas National Park is located on 7 small keys about 70 miles off the coast of Key West, FL. 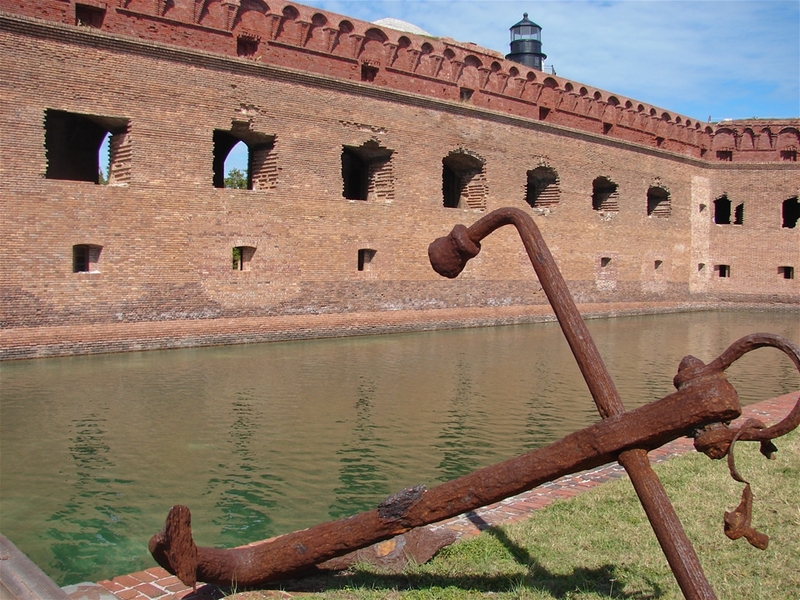 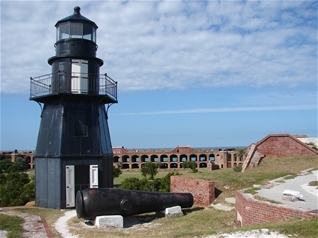 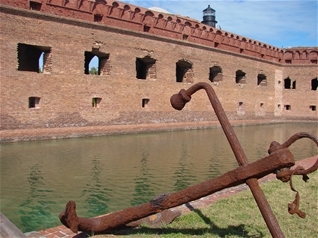 On the largest island lies Fort Jefferson, a civil war era fort, which is the largest masonry structure in the U.S. 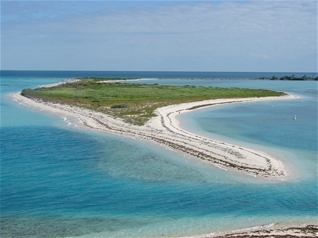 The other islands are home to wildlife and are especially notable for the large populations of sea turtles. 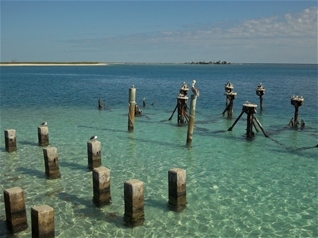 The majority of the park is underwater, however. 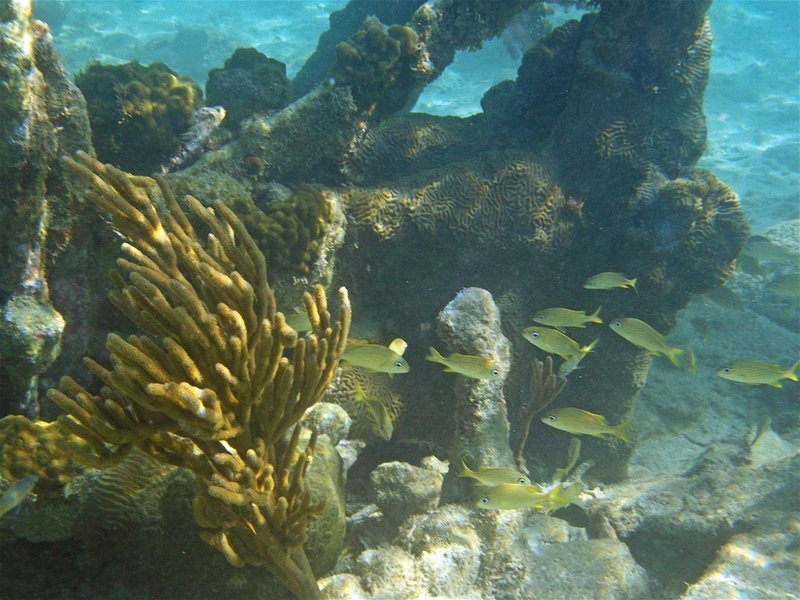 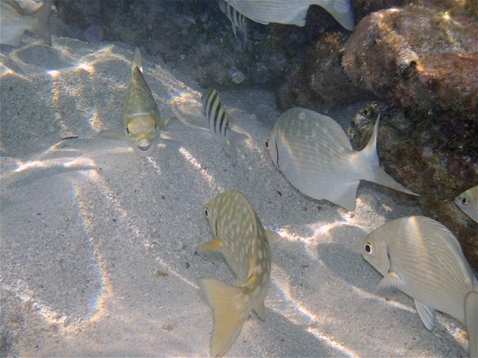 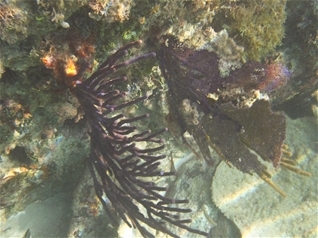 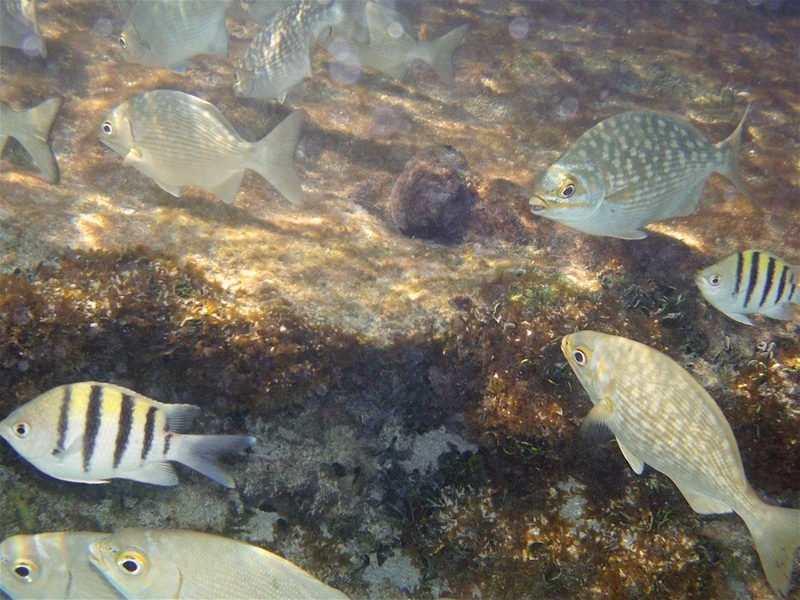 Under the surface lies many coral reefs built up along the walls and structures of the fort. 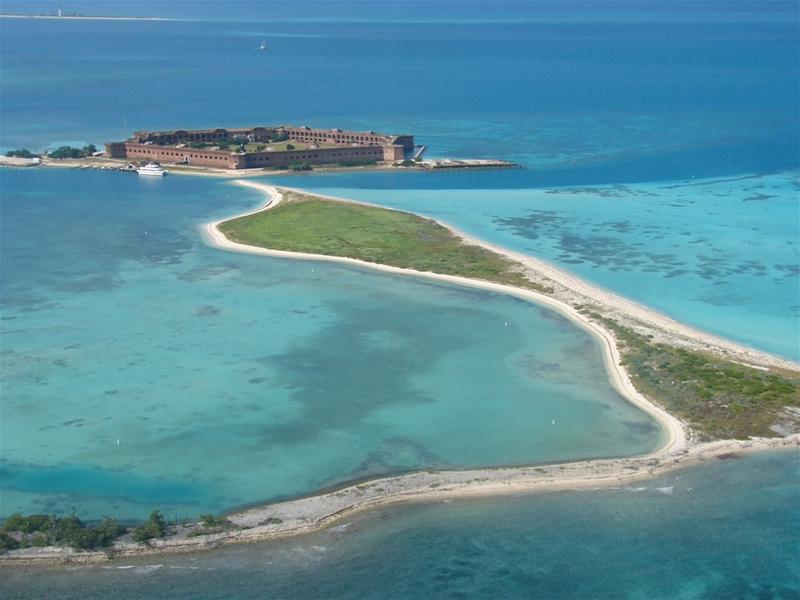 Taking a seaplane to the Dry Tortugas and snorkeling is one of the most memorable national park trips one can take.